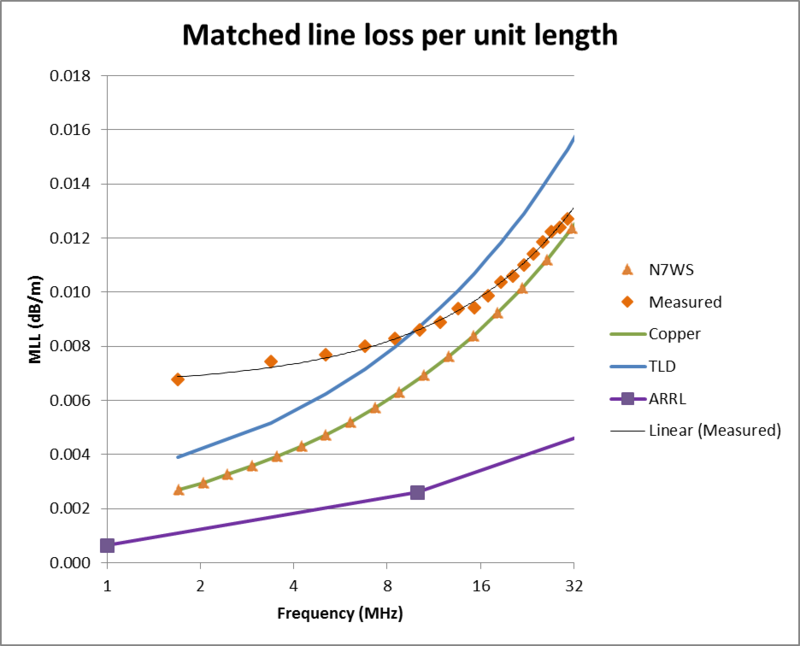 Loss of Wireman 553 windowed ladder line at MF/HF discussed the matched line loss of a windowed ladder line with 19 strand CCS conductors. You might look at this and ask “does it matter”. At Baluns – show me the numbers I raised the value of quantitative measurement of the complex common mode impedance of current baluns as a figure of merit for certain antenna applications. This article shows a simple method of measuring the complex common mode impedance of a Guanella 1:1 current balun using a modern Antenna Analyser. At Diamond X-50N #2 at VK2OMD I reported some details of a new antenna at VK2OMD, including some baseline measurements using a Rigexpert AA-600. This article expands that information with some measurements made using AIMuhf, and gives some contrasts between the two tools. My Quiet solar radio flux interpolations calculator has been broken recently, a result of changes at NOAA where they withdrew the observation data on which the calculator was based. 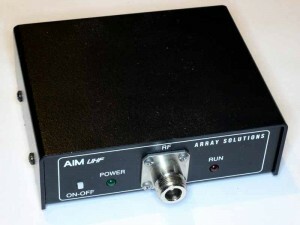 AIM 882 produces internally inconsistent results raised some issues with AIM software. You might look at this and ask “does it matter”, if 10m of this line is used in a G5RV, 0.0075dB/m at 3.6MHz gives 0.075dB loss… that is just 2%, so what. I have written several articles recently on matters relating to Small Transmitting Loops (STL), or “Magnetic Loops” to hams (Small transmitting loops). At Efficiency and gain of Small Transmitting Loops (STL) I discussed the use of bandwidth measurement of a small transmitting loop (STL) for estimation of efficiency. 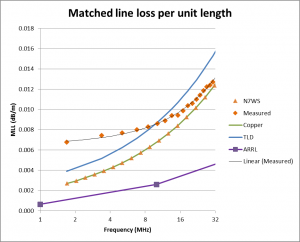 Over a long time I have voiced concern at the likely performance at MF / low HF of the very popular windowed ladder lines that use CCS conductors. A very popular form of commercial ladder line is that using #18 wire, comprised of 19 strands of #31 30% IACS conductivity copper clad steel. The copper cladding on such a conductor is about 14µm in thickness.